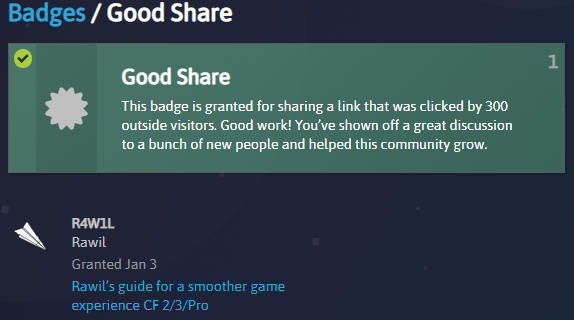 Let's help each other get Badges! How many badges did you already get? That was what I was thinking! That’s a badge for psychopaths. For sure. Continuing the discussion from Let's help each other get Badges! : What badges are the ones you like the most and why? For me it’s the “Licensed” badge because it’s easy to achieve and tho it’s still rare with 19 people having that badge.